Egg tempera – the pre-eminent technique of painting from the fall of Byzantium until the Renaissance – is alive and well in the 21st century. 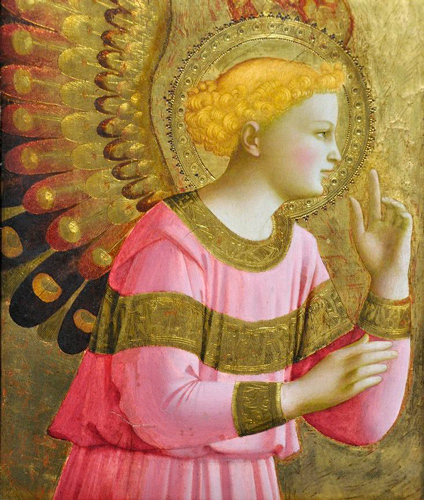 From the golden, candle-lit icons of Medieval cathedrals to the graceful masterworks of Botticelli to the panels of Andrew Wyeth and beyond, egg tempera has always brought a spiritual dimension to works of pigment, egg and wood. For forty-five years, the Tempera Workshop has provided a haven for artists and all lovers of art to learn, practice and appreciate this ancient craft. Now, we bring our love of egg tempera to the Web. As our site develops, we'll be adding features on the tools and techniques, the great artists and their contributions, the history and symbols of Medieval art and much more. We look forward to your participation and input. Most of all, we hope to share our respect for 'the process' of egg tempera. More than simply applying paint, creating a tempera panel involves selecting and preparing the wood, mixing colors and laying and burnishing gold. It is a process done in the same way for over 1000 years. Egg tempera is an art form, a meditation and a life-long journey. We invite you to share it with us.